The Educational Commission for Foreign Medical Graduates (ECFMG®) and its Foundation for Advancement of International Medical Education and Research (FAIMER®) held their final Board meeting of the year November 29-30, which included the election of the next Chair and Vice Chair of the ECFMG Board and a biannual Stakeholder Engagement Forum. Effective January 1, 2019, Dr. Andrew Filak Jr. will serve as Chair of the ECFMG Board of Trustees, and Dr. Maryellen E. Gusic will serve as Vice Chair. Both will serve two-year terms. Although the ECFMG and FAIMER Boards share the same members, Dr. William W. Pinsky, ECFMG President and CEO, will continue to serve as Chair of the FAIMER Board of Directors. Dr. Filak serves as Interim Senior Vice President for Health Affairs and Dean of the University of Cincinnati (UC) College of Medicine. 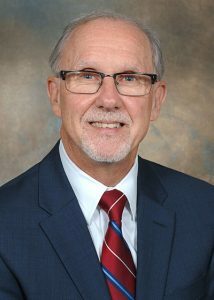 He previously served as Senior Associate Dean for Academic Affairs, founding Chair of the Department of Medical Education and Professor of Medical Education and Family and Community Medicine at the UC College of Medicine. He also served as Vice President for Education for UC Health. A national leader in medical education, Dr. Filak has served for prominent medical education organizations, including the Accreditation Council for Graduate Medical Education (ACGME), the Association of American Medical Colleges (AAMC) Advisory Panel on Medical Education, the Association for Hospital Medical Education (AHME), the Ohio Academy of Family Physicians, the Southwest Society of Family Physicians, and the National Board of Medical Examiners® (NBME®). He has received numerous awards throughout his career, most recently the UC College of Medicine’s highest honor, the Daniel Drake Medal, earlier this year. Dr. Gusic serves as the Senior Advisor for Educational Affairs and Professor of Medical Education and Pediatrics at the University of Virginia (UVA) School of Medicine. Prior to joining the faculty at UVA, she served as Chief Medical Education Officer at AAMC. She has extensive experience in administrative leadership with a career and scholarly focus in education and professional development. Dr. Gusic’s engagement in national professional organizations and educational associations aligns with her commitment to educational innovation and the professional development of academic faculty. 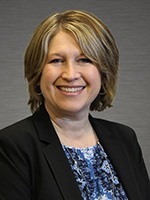 She is a faculty member for the Executive Leadership in Academic Medicine (ELAM) program, a past President of the Academic Pediatric Association (APA), and former co-director of the organization’s Educational Scholars Program. In addition, she has served on a number of committees at the NBME, including the test development and review committees for the Step 2 Clinical Skills examination. 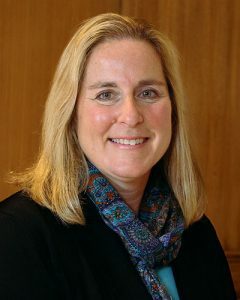 She also served as the Chair of an AAMC Task Force on the Evaluation of Educators and of the AAMC’s Research in Medical Education Program Planning Committee, and was the Senior Associate Editor of Education for Academic Pediatrics. 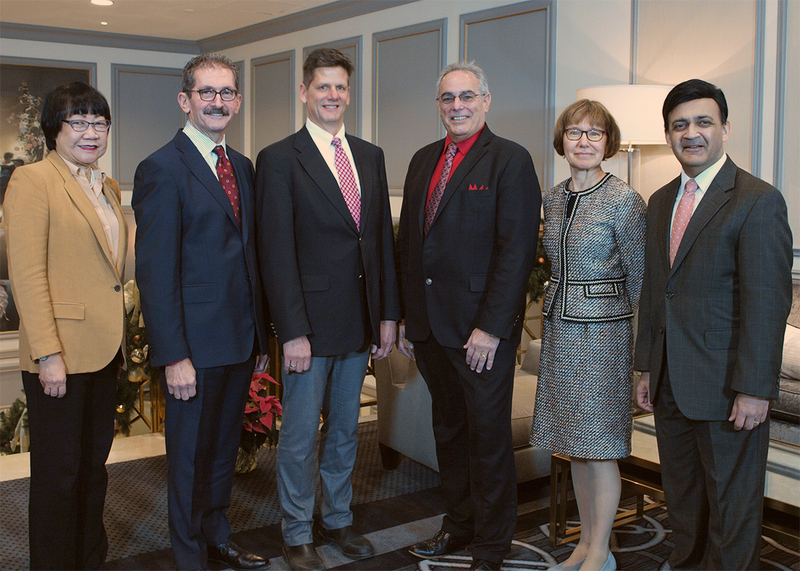 On November 30, invited representatives of the ACGME, American Medical Association (AMA), AAMC, AHME, Federation of State Medical Boards (FSMB), and NBME joined ECFMG and FAIMER Board members to share organizational perspectives and activities related to the theme of physician workforce issues. ECFMG-FAIMER Stakeholder Engagement Forum guests, from left: Mary Lieh-Lai, MD, Senior Vice President, Medical Accreditation, ACGME; Peter Katsufrakis, MD, MBA, President and CEO, NBME; John Andrews, MD, Vice President, GME Innovations, AMA; Frederick Schiavone, MD, President-Elect, AHME; Dorothy Andriole, MD, Senior Director, Medical Education Research, AAMC; Humayun Chaudhry, DO, President and CEO, FSMB. 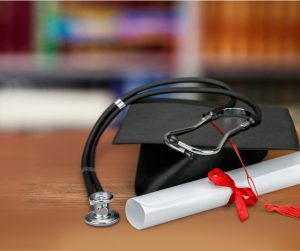 The Educational Commission for Foreign Medical Graduates (ECFMG®) has launched a new resource for students who plan to apply to medical school. Designed to assist in identifying schools offering quality medical education, this new resource is a valuable tool for those who are beginning their medical education, as well as for current medical school students who plan to transfer to a different medical school. The new resource is available on the ECFMG website at www.ecfmg.org/medschoolselection. For the second consecutive year, the Educational Commission for Foreign Medical Graduates (ECFMG) and its Foundation for Advancement of International Medical Education and Research (FAIMER) have been selected by Modern Healthcare as a Best Place to Work in Healthcare. 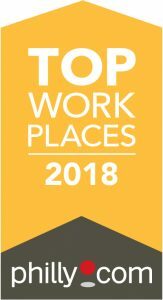 ECFMG/FAIMER also received the Family-Friendliest Workplace Award for the second year in a row, and was a finalist for the Healthiest Workplace Award. 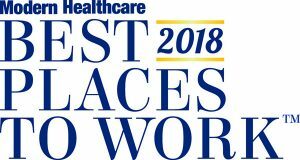 The Best Places to Work in Healthcare program identifies and recognizes outstanding employers in the health care industry nationwide. Modern Healthcare partners with the Best Companies Group on the assessment process, which includes an extensive employee survey. Modern Healthcare published a feature story on ECFMG/FAIMER as the recipient of the Family-Friendliest Workplace Award. The complete list of this year’s winners is available here. Modern Healthcare will publish a special supplement featuring ranked lists of all the winners with the October 1 issue. In addition to the Modern Healthcare honor, ECFMG/FAIMER was recognized earlier this year as a Top Workplace in Philadelphia by the Philadelphia Media Network, publishers of the Philadelphia Inquirer and Daily News. John J. Norcini, Ph.D., President and CEO of the Foundation for Advancement of International Medical Education and Research (FAIMER®), has announced that he will retire effective July 1, 2019. 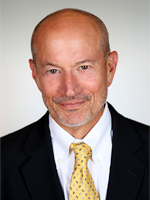 Dr. Norcini became FAIMER’s first president in May 2002, and has established numerous worldwide initiatives and programs in medical education, research, and data resource development during his 16-year tenure. Dr. Norcini has overseen FAIMER research activities in the broad domains of the international migration of physicians, U.S. physician workforce issues, and international medical education programs. FAIMER also designs and conducts studies focused on international health professions education, including the quality of medical schools and their graduates, international accreditation, licensure, and certification processes. FAIMER frequently conducts these investigations in collaboration with other institutes and researchers, and aims to inform policy makers in government, academia, and various other interested organizations. 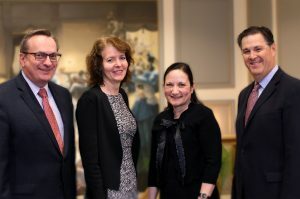 The Educational Commission for Foreign Medical Graduates (ECFMG) and its Foundation for Advancement of International Medical Education and Research (FAIMER) have established an Office of General Counsel. Francine Halushka Katz, Esq., has joined ECFMG and FAIMER in this new role, also serving as Senior Vice President and a member of the organizations’ executive team. According to ECFMG President and FAIMER Board Chair William W. Pinsky, MD FAAP FACC, the organizations are engaged in a strategic expansion of the services they provide to global communities of physicians, patients, medical educators, medical regulators, and researchers. He said the General Counsel will facilitate that strategic growth by supporting diverse activities including contracts and collaborations, policy development, investigation and notification of fraudulent activity, and the development and stewardship of the organizations’ data and information resources. Ms. Katz, a resident of Huntingdon Valley, PA, has extensive experience in the health care and life sciences sectors in both non-profit and for-profit environments. Before joining ECFMG in March 2018, she served as Vice President and General Counsel at Saint Peter’s University Hospital in New Brunswick, NJ, and later at St. Joseph’s Healthcare System in Paterson, NJ. She has also served as Senior Attorney with Axiom Law—Life Sciences Group, NY and has consulted for RWJ Barnabas Health, New Jersey’s largest health care system. She earned her Juris Doctor degree, with a concentration in Health Law, from Georgetown University Law Center and a Bachelor of Science degree in Public Relations from the University of Florida. She is a member of the American Health Lawyers Association and the Association of Corporate Counsel and is engaged in a number of civic and community service activities. The Educational Commission for Foreign Medical Graduates (ECFMG®) and its Foundation for Advancement of International Medical Education and Research (FAIMER®) have launched a new meeting series designed to strengthen partnerships and enhance the perspectives available to governance and staff. The inaugural Stakeholder Engagement Forum took place on Friday, April 6, in conjunction with the meeting of the Boards of ECFMG and FAIMER in Philadelphia. The ECFMG-FAIMER forums invite leaders in the fields of medical education, assessment, and regulation to share insights on issues of mutual interest as well as updates on their organizations’ activities. The first session in this series featured leaders from long-standing associates, including the American Board of Medical Specialties (ABMS), American Medical Association (AMA), Association of American Medical Colleges (AAMC), and the Federation of State Medical Boards (FSMB). For future sessions, ECFMG and FAIMER will extend invitations to new and potential partners. The Stakeholder Engagement Forums will be held twice annually in Philadelphia. ECFMG and FAIMER are private, nonprofit organizations based in Philadelphia in the United States. In partnership with each other and with other organizations around the world, ECFMG and FAIMER work to promote quality medical education and health care worldwide. ECFMG and FAIMER are leading experts on the world’s medical education systems and their graduates, the authenticity of physician credentials, the assessment of physicians, and research on physician migration and U.S. physician workforce issues. ECFMG and FAIMER offer programs and resources that serve global communities of medical educators and regulators; physicians and medical students; and those investigating issues in medical education, assessment, and health workforce planning. Learn more at www.ecfmg.org and www.faimer.org. 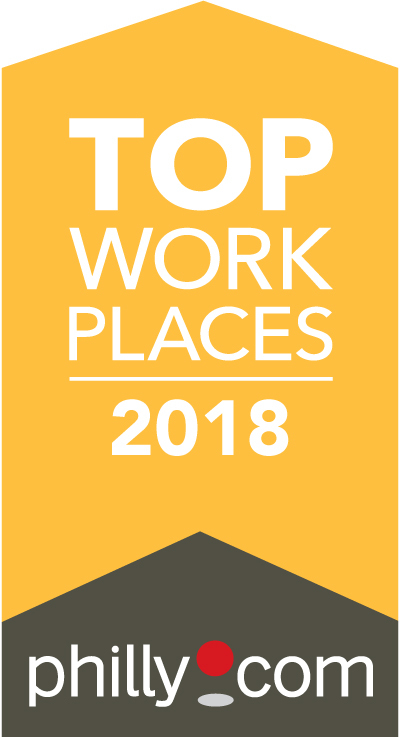 The Educational Commission for Foreign Medical Graduates (ECFMG®) and its Foundation for Advancement of International Medical Education and Research (FAIMER®) have been recognized as Top Workplaces by the Philadelphia Media Network. ECFMG and FAIMER were among 125 companies to be honored at an awards ceremony last week. ECFMG and its foundation ranked 27th among 40 companies in the mid-sized category. ECFMG and FAIMER leadership and staff attended the Top Workplaces award ceremony on March 14. Winners are based solely on employee feedback, gathered through third-party research partner Energage, LLC (formerly WorkplaceDynamics). The anonymous survey measures several aspects of workplace culture, including alignment, execution, and connection, to name just a few. ECFMG and FAIMER are private, nonprofit organizations based in Philadelphia, Pennsylvania, with a combined total of nearly 1,000 employees. In partnership with each other and with other organizations around the world, ECFMG and FAIMER work to promote quality health care worldwide. More information is available at www.ecfmg.org and www.faimer.org. Established in 1956, ECFMG offers a variety of programs for the world’s physicians; medical educators; medical regulatory authorities; and other organizations that train, assess, and license physicians. Through its program of certification, ECFMG evaluates whether international medical graduates (IMGs) are qualified to enter U.S. programs of graduate medical education; one-quarter of physicians in training and practice in the United States are IMGs. ECFMG also is a world leader in the primary-source verification of medical credentials, a service that it offers at no cost to organizations worldwide. Established by ECFMG in 2000, FAIMER offers educational programs for mid- to senior-level health professions educators around the world; conducts research on international medical education programs, IMGs, and the migration of physicians; and builds high-quality data resources that facilitate evaluation and research. In partnership with the World Federation for Medical Education, FAIMER has developed the World Directory of Medical Schools, a comprehensive resource on more than 3,000 medical schools worldwide.